The last chapter of our private dining adventure for 2018 ends at The Ampang Kitchen which is run by a father and son team, Uncle Raymond and David. David does the cooking nowadays while Uncle Raymond takes care of the guests at the front of the house, as well as explaining the dishes they have prepared for us. 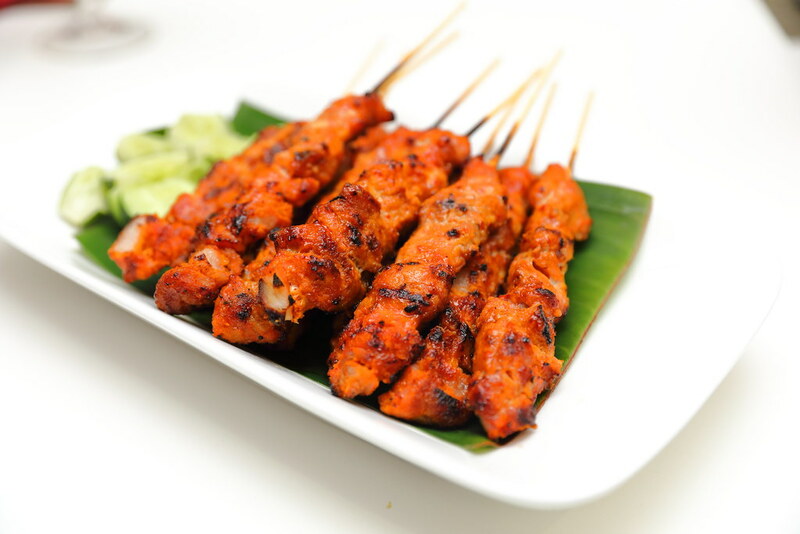 Dinner started with the Satay Bohong. Each stick consists of 50g of pork belly which is grilled to an aromatic char on top of its tender texture with layers of fats in between. Too bad each guest get only 2 sticks. I wish it can be served straight from the grill so it is hotter, instead of being left to cool down before serving. 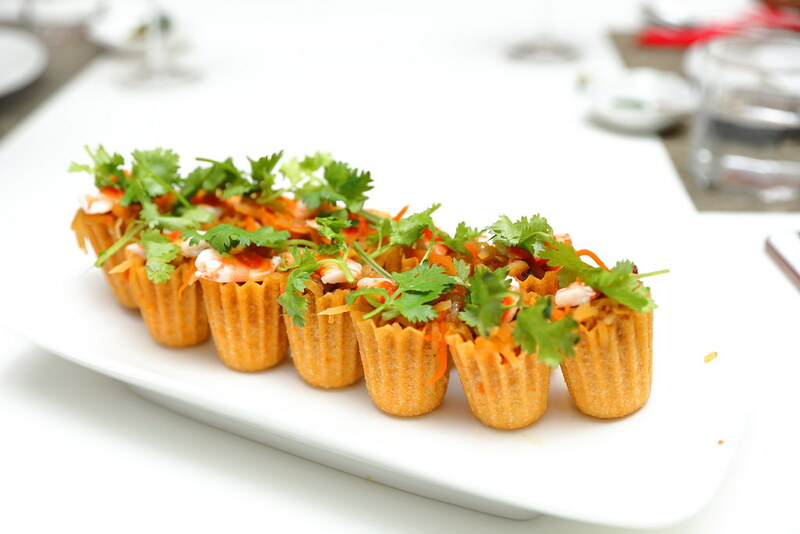 Bakwan Kepiting is a dish served in all the Perankan private dinings we have attended. The version at The Ampang Kitchen is not authentic type. Uncle Raymond has tweaked it in a good way. The soup came across rich and robust from the long hours of boiling prawn shells, chicken and pork bones to draw the flavours. 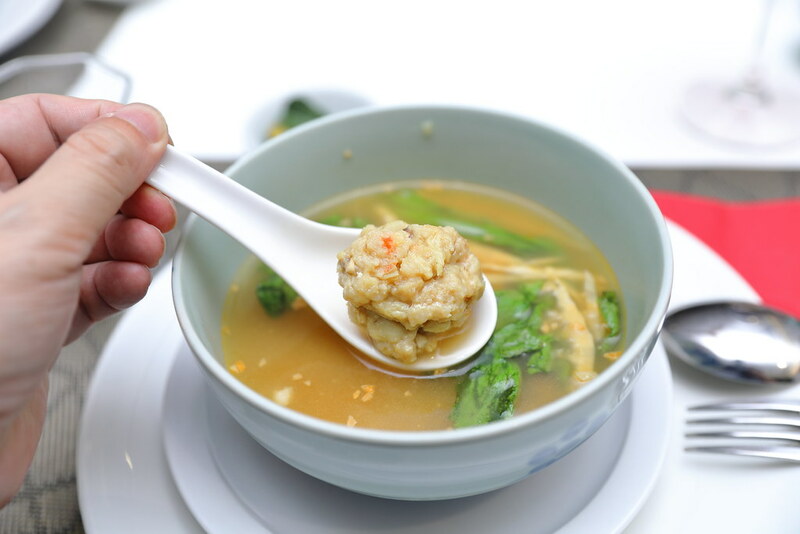 The meatball is also soft, tender and airy packed with crab meat, prawn and bamboo shoot. If you have a sharp tongue, you will taste fermented beans in it. Uncle William has added them into his soup to elevate the flavour. 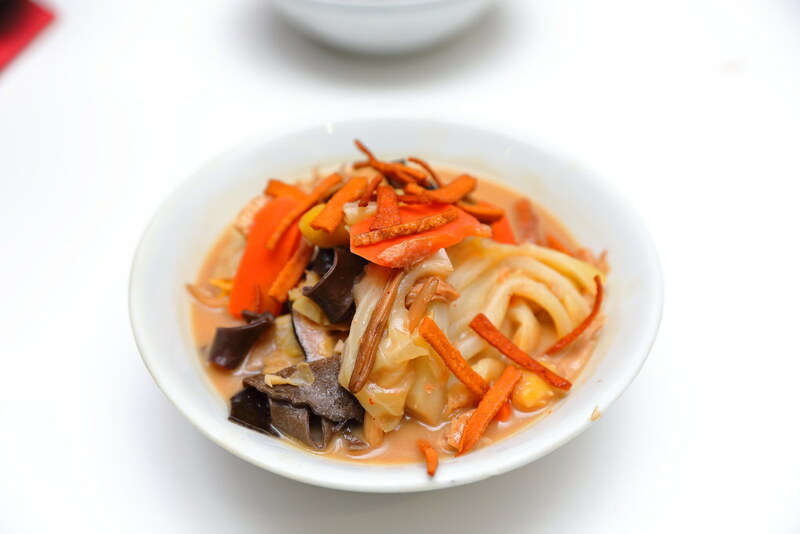 Other unusual ingredients found in the soup are mushroom and tang oh, which is not usually served in bakwan kepiting. Although Uncle Raymond does not make his own shell for the Kueh Pie Tee, they are fresh and crispy with no porky smell. These are delightful parcels that whetted the appetite. The Rojak here is served chilled which I find it brilliant, giving it a refreshing touch. 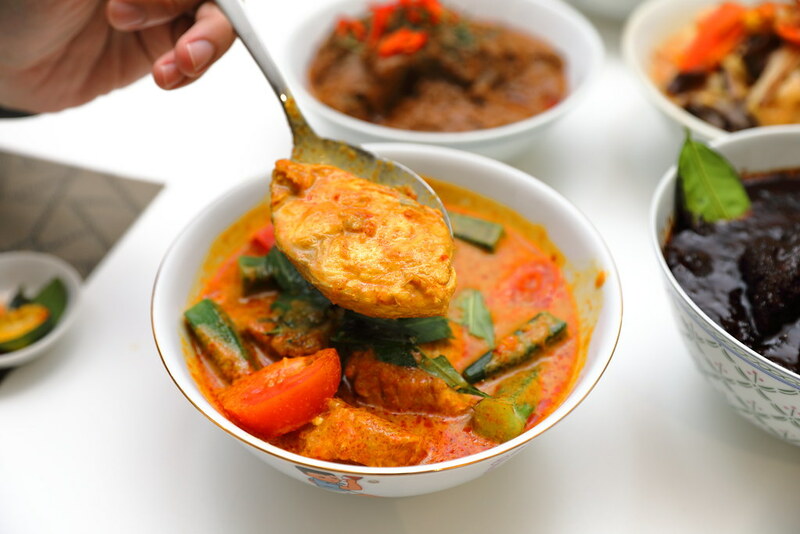 The version combines both the local and Penang style, which got the thumb of approval from the dining group. 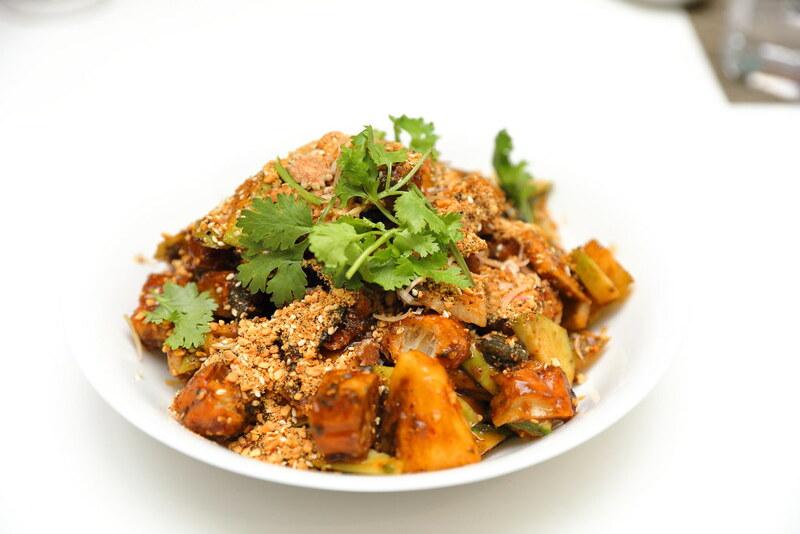 Some even commented that this is the best rojak they have ever eaten. Ampang Kitchen uses 8 different ingredients for its Chap Chye. 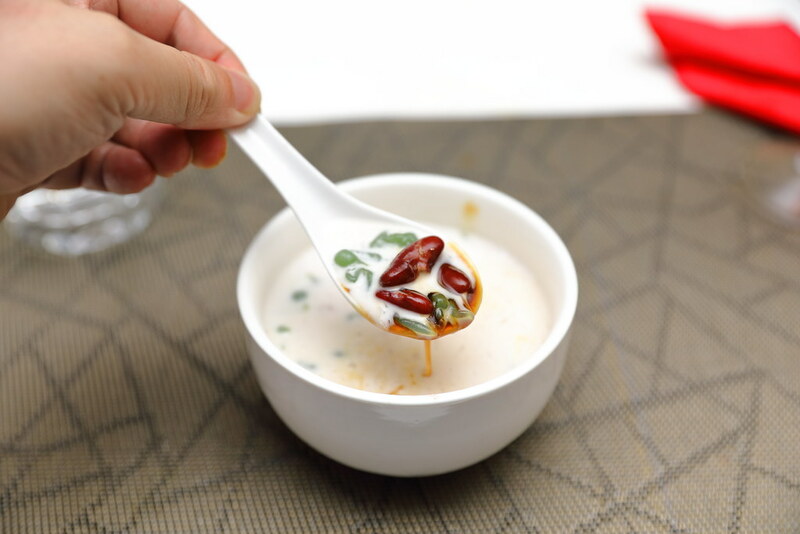 Unlike the usual Peranakan style, red and white fermented beancurd as well as fermented beans are added which is more of a Cantonese style. 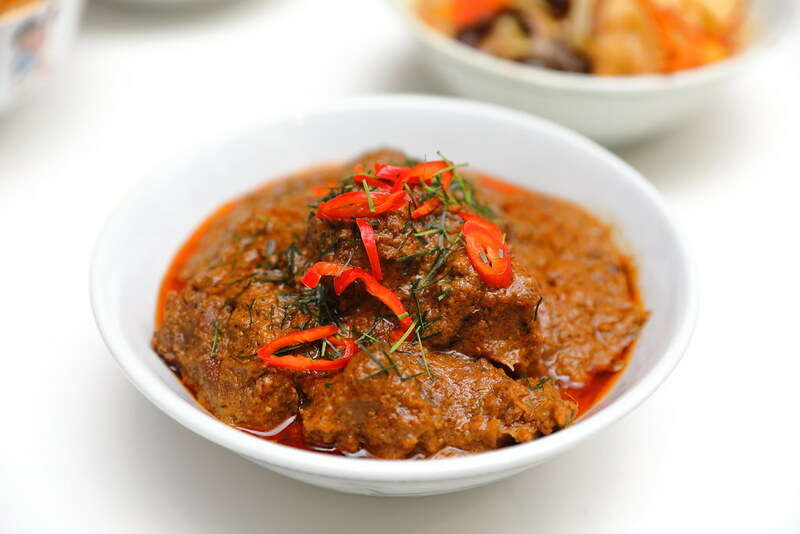 Uncle Raymond shared that his Beef Rendang consists of 17 ingredients. Of course I am not able to taste all the individual ingredients. What I tasted is the aromatic rempah that married with the tender beef excellently. I have tried many versions of Ayam Buah Keluak and this is probably one of the better versions I have eaten. 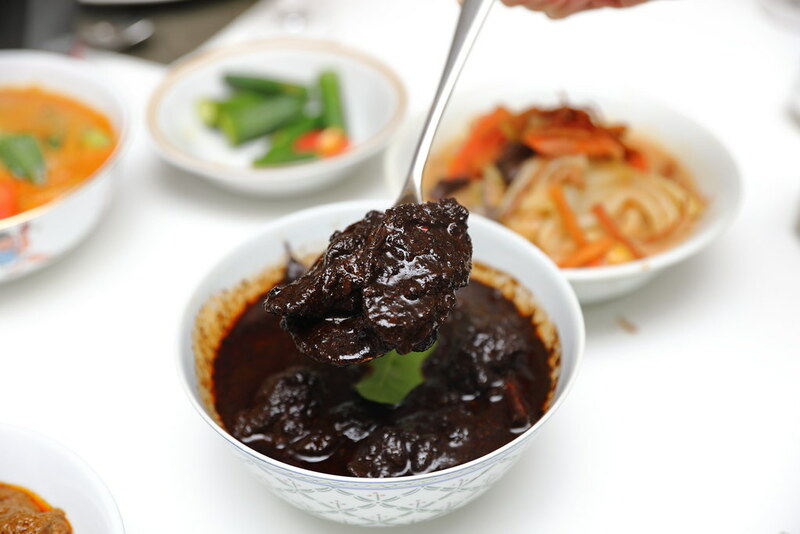 It is more saucy infused with the rich buah keluak flavour. I could not help drenching my steamed rice with the gravy to enjoy it to the last drop. Another well executed dish which I enjoyed a lot is the Assam Fish with Lady's Finger. The tang from the assam and tomatoes, plus the sweetness from the pineapple is so appetising. It just opens my appetite for more. The one dish that I have been looking forward is the Banana Flower Kechai. It is a dish not commonly served nowadays and it is my first time trying it. I didn't know what to expect. 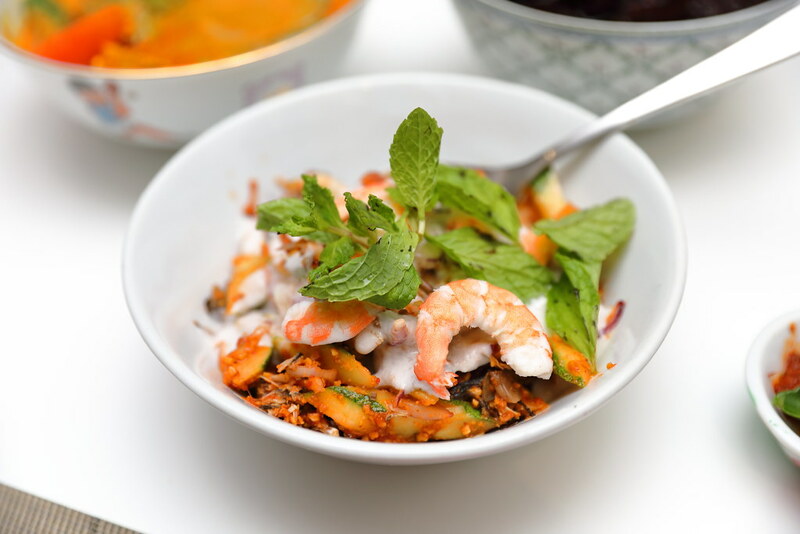 I can taste a lot of different textures and flavours from the prawn, pork, cucumber, mint leaves and banana flower all coming together harmoniously. Wrapping up the dinner we have Chendol for dessert. You can't get anywhere wrong when the chendol are freshly made, with fresh coconut milk and premium gula melaka. Our dinner at The Ampang Kitchen is $120 per pax. We really enjoyed the food and was well fed. A lot of time and preparation is put into serving the delicious food to our table. 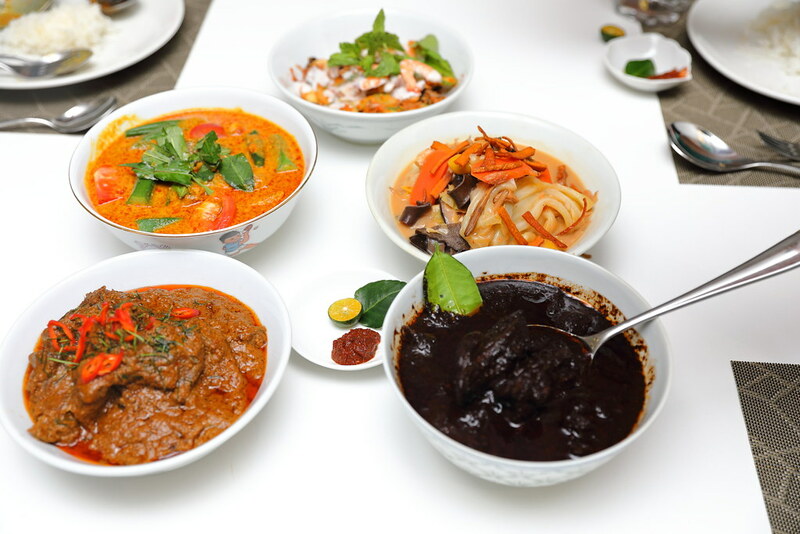 I could not say The Ampang Kitchen serves authentic Perankan food because some of the recipes have been influenced by the region, Straits Cuisine maybe a more appropriate to label the cuisine served at The Ampang Kitchen. Besides private dining, it also caters for takeaways. Hence don't be despair if you can't get a booking, you can also order takeaway.